At an early age, Advent children are taught to seek enlightenment in whichever way naturally suits them and it is common to see even the very young using neurochemicals or artificial implants to augment their mental abilities. This advanced level of integration with their technology – known as PsiTech – is largely responsible for the Advent‘s strange sense of collectivism, and allows them to share their thoughts and feelings on an almost innate level. Navigating, interpreting and shaping this sea of ideas are highly prized skills in Advent culture and one’s mastery in these areas forms the basis of the Unity‘s social hierarchy. 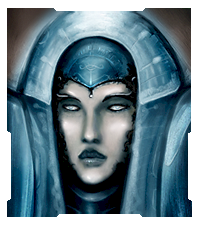 Females in particular demonstrate a natural prowess and have come to dominate the higher castes, called Coalescences. When the Trade Order forced the ancestors of the Advent from their home world, it created an indelible scar upon their psyche. 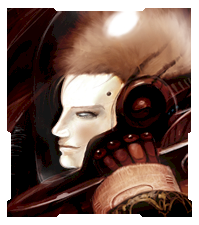 An etching was created upon every Advent citizen in all the following centuries to exact retribution upon their enemy and assume their rightful place in the galaxy. This powerful drive for revenge pushed the Advent even further in their practices, advancing their technology far beyond anything the Traders could have imagined. 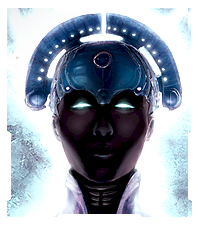 Over the next 1,000 years the Advent would use all the resources at their disposal to create frightening new weapons and abilities powered by their PsiTech. 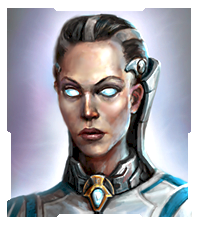 With their resources exhausted and an arsenal to wield, the highest Coalescence synthesized the will of the Unity and determined that now is the time to return to their original home world to fulfill their prophecies of dominion.